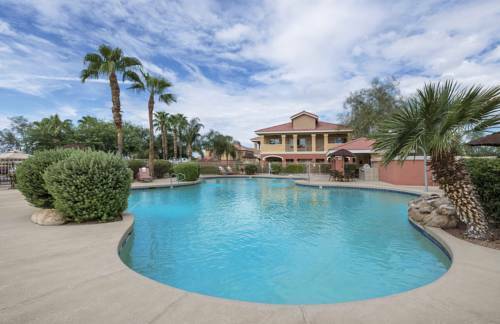 Family and pet friendly Studio to 2 bdrm Villas located on Painted Mtn Golf Resort in the heart of Mesa. A remarkable vacation destination- Westgate Painted Mountain Golf Resort provides guests all the comforts of a fully furnished home all within minutes of area attractions- restaurants and a championship golf course. Resort offers a variety of onsite amenities such as an outdoor pool- two hot tubs- barbecue facilities- steam room- playground- horseshoes- basketball and sand volleyball courts- shuffleboard- fitness center- laundry facilities- and 24-hour front desk.